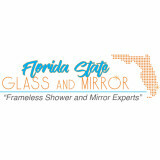 Ensure the success of your next new bathroom or shower remodel by choosing Totally Glass & Mirrors. Day in and day out, we deliver the highest quality custom frameless, framed shower doors enclosures & mirrors with quick, courteous service, attention to detail, and competitive pricing. WE ARE SOUTH FLORIDA’S LARGEST & OLDEST SHOWER DOOR COMPANY. For over 25 years we have designed, manufactured, shipped and installed custom glass frameless shower door enclosures for homeowners and contractors all over South Florida. We provide you with affordable custom shower and bathtub enclosures that fit perfectly at standard door prices. Since our headquarters and manufacturing facility is located Coral Springs, FL, your custom door or enclosure can be fabricated in as little as 48 hours and ready to install. FLORIDA'S INSTALLATION EXPERTS We take great pride in making sure all of our installers are professional and highly trained. Our installers are full time employees of The Original Frameless Shower Doors. Every installer attends our weekly classes in our very own in-house school where they are taught the tricks of the trade, cleanliness as well as update them on the latest products available. Our installers are true experts in their craft and certified to install any type of frameless shower door enclosure. Expect to be impressed with their friendly manner, expansive insight and attention to detail. We are constantly striving to be better at an industry we feel we have created. Our team will provide you with the highest level of care in order to make sure your shower door purchase is an easy and beautiful experience. Shower Enclosures Direct provides high-quality shower enclosures at an excellent cost. We make our products in-house and also install and service locally in South Florida. 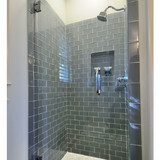 We provide custom shower doors, mirrors, kitchen & bathroom backsplashes, and shower enclosures. Family owned and full service glass company. We sell custom shower enclosures and new window and doors. West Palm Beach Glas Repair (WGR)is a family owned and operated glass repair business with more than 10 years of experience. Our professional service technicians make usWest Palm Beach's top window repair service, including window glass replacement services for doors or windows. Both commercial glass repair and residential repair services are offered, up to and even including emergency glass repair. Glass repair service areas include West Palm Beach, Palm Beach Gardens and Greenacres. The company repairs windows and doors for homes and businesses, and specialties include sliding glass door repair of any type, both residential and commercial - including emergency and board up services. If it's a glass window or door, West Palm Beach Glass Repair (WGR) can fix it. Atmosphera Design Inc. was stablished back in 1994 with experience in the mirror,glass,and,showers in South Florida since,1985. we offer our clients the best products lines in the market, also helping costumers with our ideas ,and innovated designs for your home ,and, business,let us make your projects a reality. Atmosphera Design is the company you can trust, with, the quality you demand, from the most adequate and professional service that you deserve. 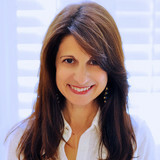 We at Interiors By Dora feel that our success is a direct result of excellent customer service. 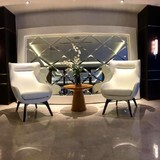 We are your local Glass and Mirror marina experts, with a strong eye for detail. We are on time all of the time. Please give us a quick call. What can a local Jupiter glass company help me with? If it’s a major home glass repair or replacement, the Jupiter glass company should work directly with your insurance company to help bring down costs for you, if applicable. Find Jupiter glass companies on Houzz. Narrow your search in the Professionals section of the website to local glass, mirror and shower door services in Jupiter, FL and read reviews and ratings to find one that fits your needs.